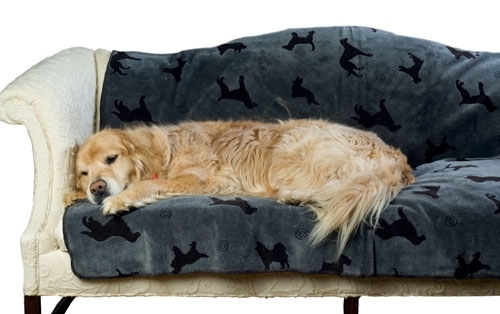 Plush blanket with embossed dogs in contrasting color. Soft, durable and functional for use on furniture to protect from pet hair and soiling. Also, great as an extra blanket to keep warm. Our attention to detail, style and practically for the discriminating pet owner are the formula for the unique and quality pieces that are welcome additions to any home decor. Now your pet can have the same style that you do. Manufactured in the heart of the textile industrial corridor of South Carolina, we combine domestic production with a global supply chain to bring American pets, products made by American workers. 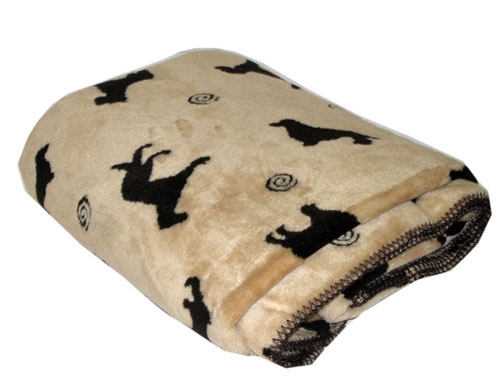 Small - 30" x 60"
Medium - 60" x 60"
Large - 60" x 90"
We received our Plush embossed Pet Throw. We love it. It is so soft. Also, it was easy to link to the UPS Tracking page through your website. You gave us courteous and prompt service.